Testaccio has a reputation for being one of Rome’s most authentic foodie districts, and with good reason. This once working-class district grew up around the city’s former slaughterhouse, where workers were often paid in off-cuts of meat. These days, the slaughterhouse is long gone, converted into a stunning modern art museum, but the trattorias are still here. 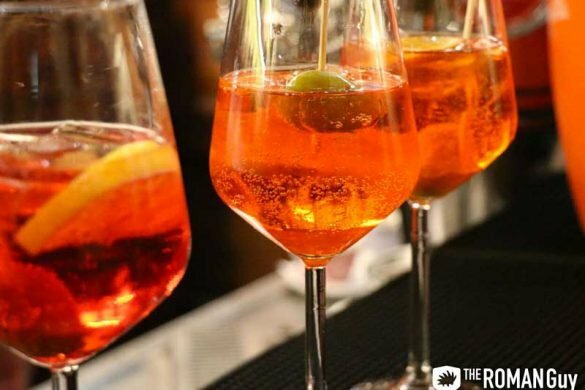 Here’s our list of the best places to eat in Testaccio. Barberini first opened its doors to the people of Testaccio in 1925 as a milk bar and ice cream parlor, gaining a reputation over the years as a specialty bakery and confectioners. 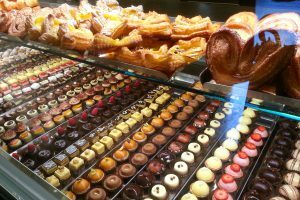 These days, the go-to eatery in Testaccio serves up handmade cakes, freshly-baked croissants, Austrian-inspired Sacher torte and French-style pastel colored macarons. If you’re craving something more savory than sweet, go for the miniature sandwiches and canapes. Available all day, they feature fish, meat and salad toppings. In addition, Barberini makes and serves real Italian gelato. Da Felice, named after the restaurant’s founder Felice Trivelloni, opened in 1936 and is still one of the best places to eat in Testaccio. Felice, so the legend goes, would only let you stay and eat if he liked the look of you. Otherwise, he’d happily send away lunch or dinner guests whether they had booked or not. He was this fickle even when the restaurant was empty! Felice passed away a few years ago, but this is still one of toughest Testaccio restaurants to dine in. You may need to book a week in advance to guarantee a table. It’s worth the wait to taste a piece of local history, and these days they probably won’t turn you away. Enjoy classic Roman dishes including agnolotti – a variant on ravioli – as well as carbonara and cacio e pepe. 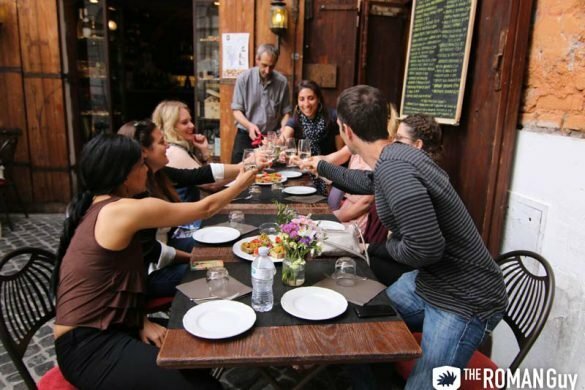 According to Roman tradition, each day of the week the menu changes slightly. On Thursdays Da Felice serves gnocchi, on Fridays they serve fish. Don’t miss: Famous for its creamy, well-seasoned cacio e pepe, don’t miss this classic Roman pasta dish. 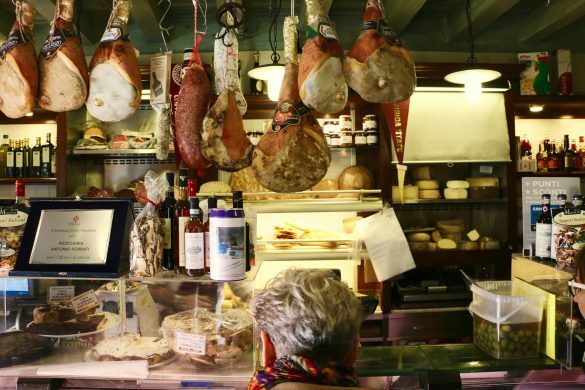 Testaccio’s most famous and historical delicatessen is the princely Volpetti, which serves and sells an incredible range of specialty cheeses, breads, charcuterie, flans and pastries. The simple kitchen has recently been transformed into a smart lunch and dining spot called Taverna Volpetti. 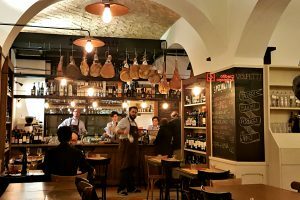 Of all the best places to eat in Testaccio, this is an ideal choice if you’re looking for lighter fare. With a Mediterranean approach, expect fresh salmon pasta, marinated octopus salad, soups and snacking plates with cheese and ham. Taverna Volpetti is also open all day, which is ideal if you have kids or prefer eating earlier. Don’t miss: Try Taverna Volpetti’s handsome pizzas in the evenings, topped with fresh ingredients from the deli next door. The brainchild of Roman pizza chef Stefano Callegari, Trapizzino in Testaccio is a street food joint with a unique product, the trapizzino, an artfully crafted pocket of pizza dough stuffed with the kinds of sauces you’d usually find on a plate of pasta. Try hunters’ chicken – poultry stewed with fresh vegetables – or slices of eggplant in a rich tomato sauce. This fast-food venue is compete with a fridge full of craft beers, take your time here and get relaxed. 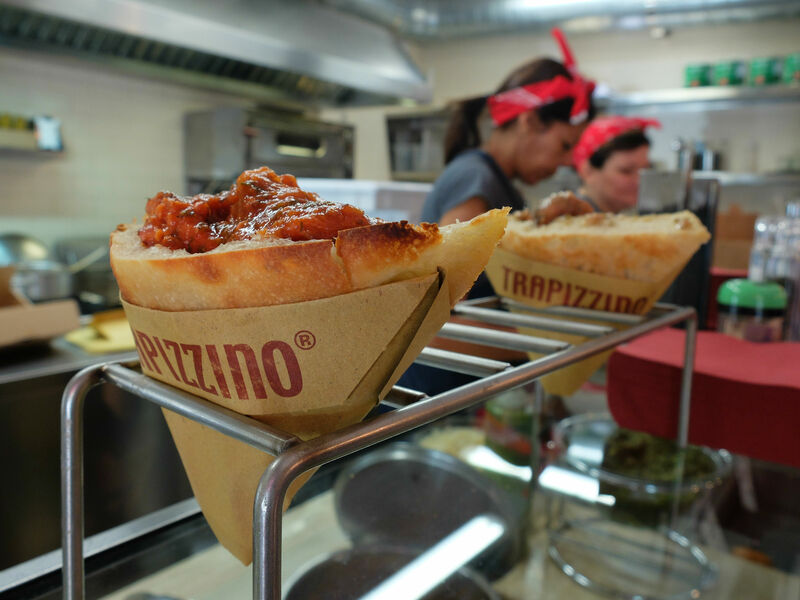 Don’t miss: Try a trapizzino with the traditional Roman filling, picchiapò, boiled beef refried with onions and tomatoes. Just delicious. If Da Felice is the godfather of Testaccio restaurants, Perilli is its kindly grandfather, serving the people of Testaccio in style for over 100 years since first opening in 1911. This dim, windowless trattoria is warm and friendly on the inside. Savor exceptional steamed artichokes and a rich choice of sweetbreads in winter. The carbonara here is not to missed, regardless of what time of year it is. Reservations are necessary. 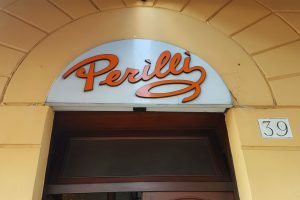 Don’t miss: If you dare, order Perilli’s famous offal dish animelle as a second course. Made from the thymus gland of the veal calf, the rich dish is served with stewed artichokes. Thanks for a marvelous posting! I enjoyed reading it.